Porsche Wet mode debuts on the new 911, here's how it works. The new Porsche 911 is here, and alongside the extra power, slightly new design and upgraded interior, Stuttgart’s new flagship brings a totally new feature: Wet mode. 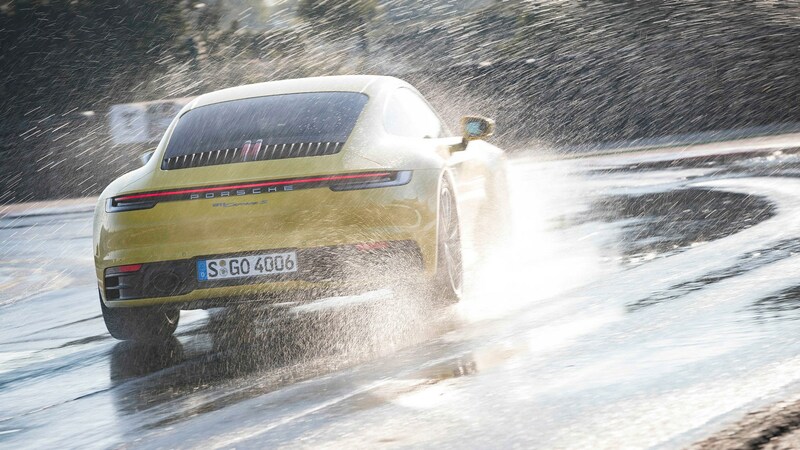 Designed to make the new 992 less sketchy to drive in wet conditions and reduce the risk of aquaplaning, Wet mode is brand new to the Porsche range, and we expect to see something similar on the new 718 Cayman and Boxster twins, and Panamera in time. But what actually is Wet mode, and how does it work? Keep reading to find out. 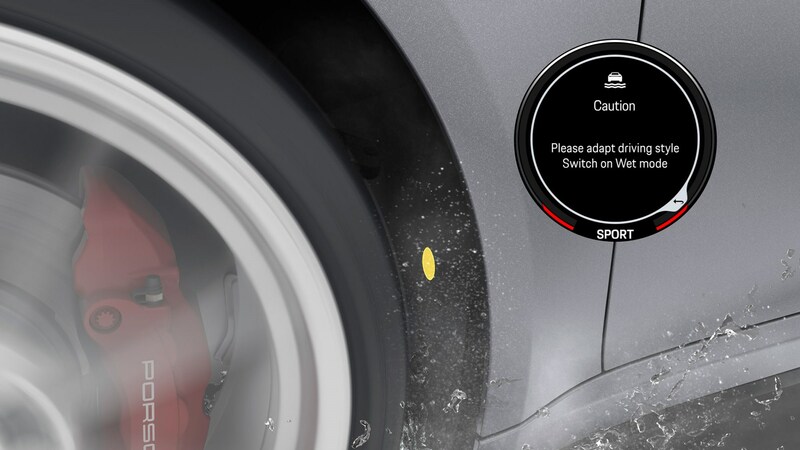 Wet mode is primarily designed to reduce the risk of aquaplaning on damp roads, and the system has two parts: detection and reaction. 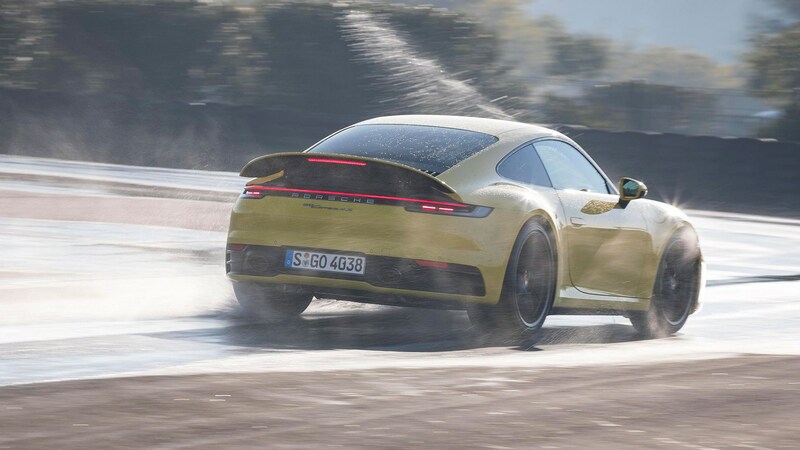 Porsche says Wet mode uses acoustic sensors behind the front wheelarches to effectively listen to the amount of spray, and if it goes over a certain threshold the car will suggest Wet mode be turned on. Significantly Porsche’s system doesn’t use the same sort of optical sensors as automatic windscreen wipers, as it’s not necessarily reacting to rain – just standing water on the road. When activated, Wet mode uses the 992’s existing stability systems in unison to make the car more manageable and easier to drive. PSM, PTM and adaptive aero all join in to help the car stick to the road, with the rear spoiler deploying at just 55mph and the cooling flaps open, too. What’s more, if you’ve got a 4S, more power is transferred up front to the axle. And while no power is cut from the engine as such, Wet mode does make the throttle flatter, torque build up more smoothly, and generally calms down the way the revs build. Porsche says it can be used in the snow, too. Porsche Wet mode debuts on the new 911 Porsche Wet mode debuts on the new 911 (992) Porsche Wet mode debuts on the new 911, here's how it works.